Over the past year, I’ve finally got round to trying semi-permanent false lashes. I’ve tried clusters and individuals with varying results. Walking through Westfield Stratford City one morning, I was tempted by DVA brow & lash bar ‘special offer’ for individual lash application in just 20 minutes for £20. I thought, ‘why not?’ I had always wanted to try them and so I went for it. The process was straightforward enough. I had a skin test with the glue and came back half an hour later. The lash technician then cleansed my lids and let them dry while I decided on length. I chose a medium length individual lashes as I didn’t want too dramatic a look for everyday. There was not enough natural light and so she used a lamp so she could see clearer. That was fine, no problem. Her placement of the lamp was an issue… right above my open eyes. She insisted I keep my eyes open and look straight up (I was laid down in the salon chair). I asked if she could move the lamp as it was shining right into my open eyes, as she started placing the lashes. She insisted that she needed it there so she could see clearly and that I would just have to keep my eyes open as wide as I could. I should have left right there but felt compelled to stay as she’d done half of an eye by this time. My eyes were watering heavily and we kept stopping to dab the tears. We got through it in the end and I liked the look. I hated the feel of the lashes, they were so brittle. Also I had expected them to feel heavy but the itching at the base of the lashes was driving me crazy. This settled down after an hour or so as I left the shopping centre. On the journey home to Bristol, I noticed that a clump had already fallen out. The tears had meant that the glue couldn’t set properly. It was too late to go back, I was on the M4. In the next 2 days more fell out and it was looking hideously uneven, but to make it worse, they were breaking off and taking my natural lashes with them. The problem was a combination of heavy lighting, lots of tears and brittle cluster lashes. I rushed out to have them professionally removed 2 days after applying them. I was left with embarrassingly stumpy lashes and decided to avoid ‘deals’ after that. My lashes had finally grown back to a whole set, albeit not as long or thick as before so I tried a new lash bar in Bristol this time. I explained my concerns about my previous experience and the technician, Roxy (trained at Blink in Harvey Nichols Bristol) was great about easing my fears. Firstly, she moved the light to an angle where she could see clearly but it wasn’t directly in my eyes. Great start. She also gave me more breaks to rest my eyes and dab the tears. Going better. She showed me the lashes first and indeed they were individuals. This was so much better. The end result were longer, thicker lashes that were still heavy (as expected) but not brittle. Not bad for £25 full price. This was the last stop in my quest for long, thick lashes. Not because I gave up, but because the lash technician is awesome! The process took about 90 minutes but was relaxing and calm throughout. The eyelids were taped down to keep the bottom lashes out of the way. My eyes were closed throughout and so there were no watery eye issues. The lashes themselves were so light that I couldn’t feel them. No heavy feeling at all. When the lashes started falling out a week or so later, it was only as my own lashes shed naturally. The result was that the fallout was not obvious and I didn’t need to go back for professional removal. I loved the finished look (below). It cost more than the other lash bars I’d tried but it was worth it for the quality. It’s something I might splash out on for really special occasions… unless I can cultivate my lashes back to their former glory… more about that subject next week! P.S. Don’t forget that today is DAY EIGHT of my 12 DAYS OF CHRISTMAS giveaway! Enter todays draw by posting a comment at the bottom of THIS POST. These reviews were very helpful. Almost bought lashes at DVA Stratford via Groupon, but I’m glad I read this first! The technician knew what she was doing in terms of lash application, but it was so time pressured that comfort of the client was secondary. The end result was brittle, uncomfortable lashes that started shedding within hours. Congratulations you’re the winner of Day SEVEN of the 12 Days of Christmas giveaway! Please can you email me at tasnimchowdhury@hotmail.com with your postal address. All packages will go out next week when the giveaway closes. 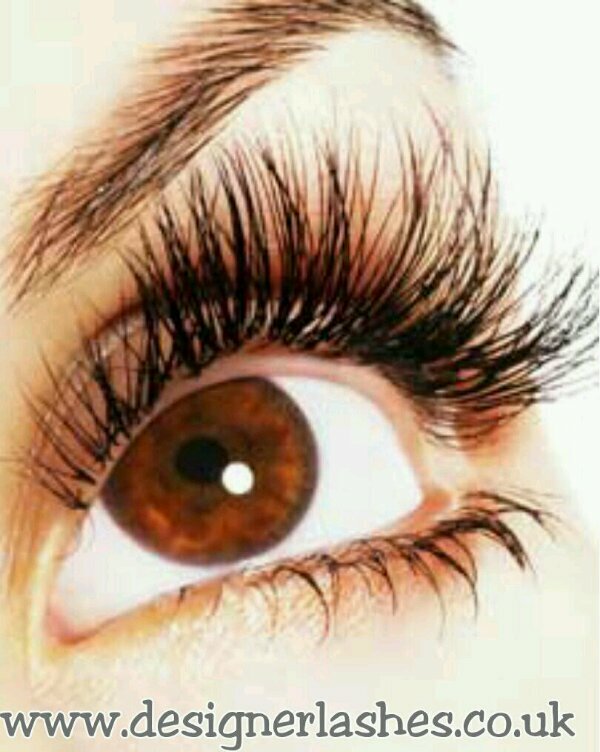 Leave a reply on "Lash extension trials and tribulations"